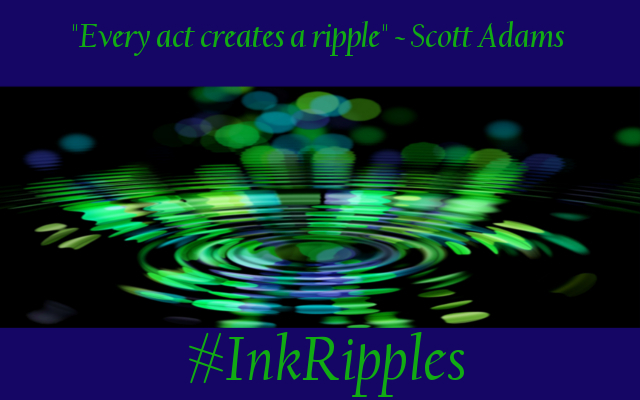 January's #InkRipples topic is book covers. Throughout the month I’m exploring the making of a book cover. So far this month I’ve shared the progression of a couple covers as I worked with digital artists, I shared my experiences working with an illustrator, and the challenges of covering a series. 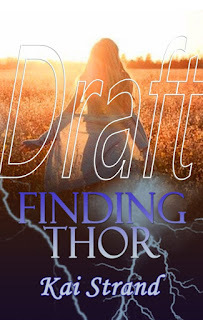 Today I'm sharing my favorite cover collaboration to date. 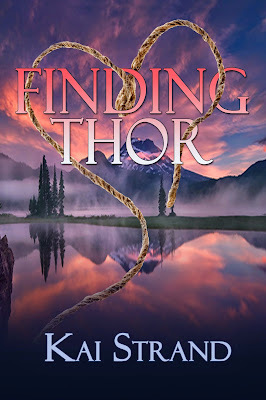 The cover for Finding Thor was such a challenge in so many ways and my publisher and cover artist were SOOOO patient through the process. I could use this cover for! 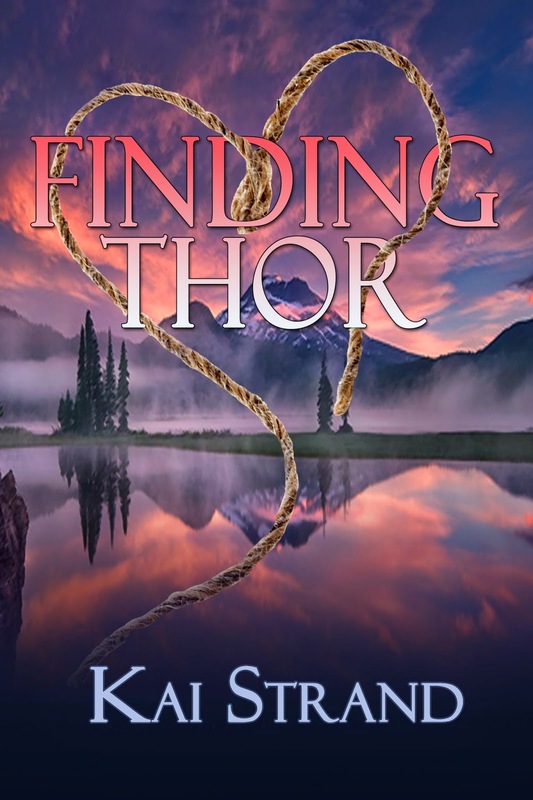 Finding Thor is a romantic suspense, which means there are two important aspects to the overall story that should be portrayed on the cover. 1) The reader needs to know that there is suspense and intrigue in the story. 2) They also need to know that the love story is an integral part of the story line. Though real life often twines suspense and drama throughout your love life, it isn't as easy to combine the two in an image as you might think. The first image I received for the cover I really, really loved. The field and the lighting is beautiful, alluring even, the girl is taking control of her life. And lightning! I love lightning not the mention the color scheme of the title and my name. But unfortunately, it just didn't portray the story at all. 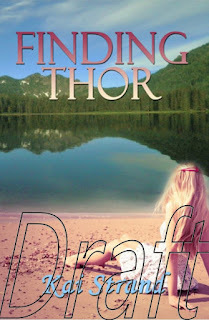 First off, Finding Thor is set in my hometown of Bend, Oregon, and there isn't a field like that within a day's drive. Second it's just too serene. There is constant action and suspense and harrowing circumstances throughout the story. Not this peaceful moment of empowerment. I took that photo! Elk Lake, Oregon. So I sent the cover artist a picture I'd taken at one of Oregon's high lakes where I'd imagined the final scene of the book taking place. I said, "Maybe something more like this as the setting." The second mock up I received included my very own image, shot with my very own camera. Yeah, that was hard to decline. Look at how gorgeous that is! With the added beach, the pretty girl, the cover was beautiful - but again, it was too serene. I didn't want someone picking up the book thinking it was a sweet love story and then reading the torture with kitchen implements scene. Talk about misleading! So, I was like, "IDK, maybe we can keep it simple. A heart shaped rope or something" - thinking she'd never have that kind of image. OH MY GAWD! She did. Plus she found a mountain lake in the most spectacular colors that were eye catching while also setting a more suspenseful mood. Ah!!! I love this cover. Maybe I love it so much because of all the work we all put into it, but of all my books this cover gets the most compliments. And you should see it IRL! It is so, so stunning in print. 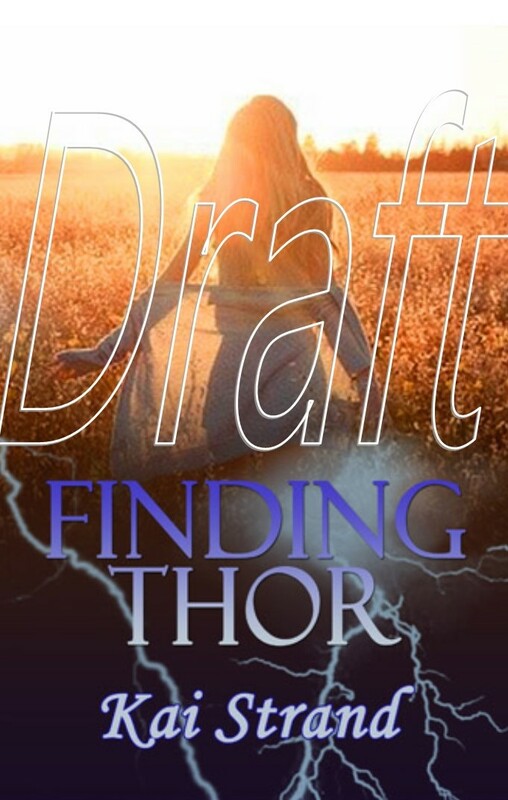 Get your hands on a copy of Finding Thor by visiting my website. What drives you craziest on a misleading cover? Wrong character hair color? Unrelated setting? Misleading mood? Be sure to visit again next week when I wrap up the book cover topic by becoming a reader and talk about my favorite book covers. I love, love, love this cover and this story. The earlier ideas are nice, but this one tells the reader what to expect when he/she opens the book. It's kind of like saying "Open me and see what's happening." Lovely cover, lovely story. This is my favorite of all your novels. Oh thank you, Beverly. I appreciate such kind sentiment on the book. And I love, love, love this cover too. I'm immeasurably thankful the publisher allowed so many tries at it. It looks as if you're having some fun here! I love the cover part of this process. Can't wait to see the final choice. It was a fun process. Poor cover artist. I really love this cover. You can't help but stare at it. I do really love the cover too. It's one of those that grabs attention--especially with that title. The best covers are definitely worth working for. They sure are. Thanks, Crystal. All three covers are beautiful. The final one is eye catching because the rope makes you wonder. Yep, the cover needed that suspense/mystery/question aspect. How fun! And it is so nice to hear a happy finding-a-cover story. Seems so many authors have practically no say in how their covers look. Love your final cover! Thanks. I've really been lucky. Large publishers definitely don't give most authors much input.